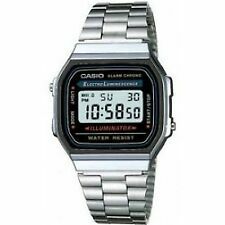 145 product ratings145 product ratings - CASIO F-91W ALARM CHRONOGRAPH CLASSIC DIGITAL RETRO WATCH. ORIGINAL CASIO F-91W WATCH CLASSIC DIGITAL CASIO F91W SPORTS WATCH CHRONOGRAPH. Stopwatch function - 1/100 sec. 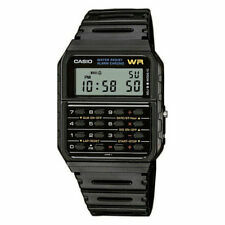 Sourced from Authorized UK Distributor CASIO. Black Casual Classic watch with a Resin Band. • 1/100 Sec Stopwatch. • Daily alarm. 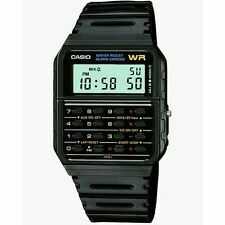 Casual Digital Watch. • 12/24 hour format. 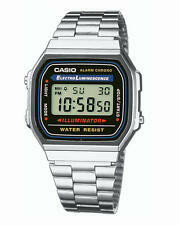 Casio Men's Blue Digital Illuminator Watch. 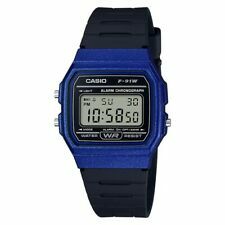 5 out of 5 stars - Casio Men's Blue Digital Illuminator Watch. 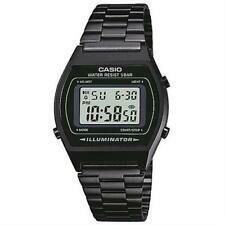 1 product rating1 product ratings - Casio Men's Blue Digital Illuminator Watch. 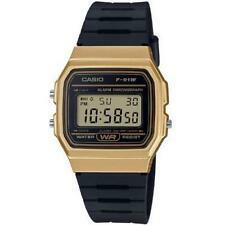 Casio Ladies' Gold Tone Digital Watch. LA670WE. Casio Ladies' Gold Tone Digital Watch. Made from Gold coloured stainless steel, this bracelet style digital watch has a slide clasp and clear, easy to read display. The colouring and style is versatile and could be easily dressed up or down. 4.5 out of 5 stars - Casio Ladies' Gold Tone Digital Watch. LA670WE. 4 product ratings4 product ratings - Casio Ladies' Gold Tone Digital Watch. LA670WE. Toy, Children & Baby. Resistant to minor splashing. 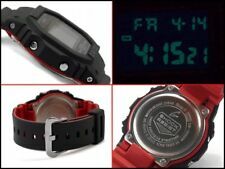 Easy to read display: built-in LED light illuminates the watch face from the side, ideal for dark or low-light viewing. Microlight: A built-in light illuminates the watch face from the side. Water Resistant: 100m. Chronograph: Yes, 3 sub-dials. Logo: 'Casio' top left corner. LED Backlight Colour: Amber. Analogue/Digital: Digital. Condition is Used. Shock-resistant construction protects against impact and vibration. Item Length: 4.3cm. Item Weight: 49.9g. Item Width: 1.3cm. Original user guide included. Item Height: 4.7cm. 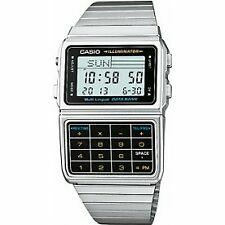 Retro stainless steel Casio Digital calculator watch DBC-611 5 multi alarms This model is equipped with 5 independent multifunctional alarms. One of these alarms is a snooze alarm. The model is equipped with a total of four repeat alarms: 1. The iconic adidas three-stripe design adds a stylish, sporty touch to the white silicone strap of the Duramo watch. Watch features Self adjustable links. Face width 50mm. Model number adp 6071. Plastic case. LED back light for the digital display. Product Information. Stopwatch 1/100th Sec Stopwatch. Orders Not Received. 100% Brand New. Band material: Rubber Case material: Plastic Watchcase Width: 4.1cm Band Size (L x W): 19 x 3cm/7.4 x 1.2'' (Approx) Movement: Digital Quantity: 1pc Waterproof: No Gender: Unisex Style: Fashion, Sports Pattern: Lego Brick Pattern Time, stopwatch alarm, date, day, backlight Great talking point and very cool. UK Seller so quick delivery. Usually 3 working days or less. See my other listings for other cool watches. 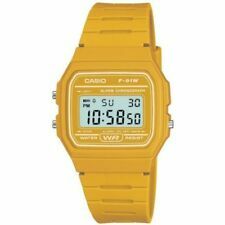 NEW Casio Digital LCD Watch with Calculator, Stopwatch, Alarm, etc Model CA53W-1. Condition is New with tags. Dispatched with Royal Mail 2nd Class. Case / bezel material: Resin. Resin Band. Resin Glass. Mineral Crystal. Core Collection. 5-year battery life. Accuracy: ±15 seconds per month. battery life: 5 years on CR20. It's an ideal gift for friends and family or even yourself. Watch type: Analogue. Comfortable and VERY durable resin design. Superb accuracy of /-20 secs per month. Accuracy: /-20 secs per month. 2 Year manufacturer's limited warranty. NEW GENUINE ORIGINAL CASIO F-91W ALARM CHRONOGRAPH CLASSIC DIGITAL RETRO WATCH*. Dispatched with Other Courier (3 to 5 days). 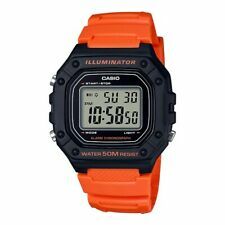 Casio Mens G-Shock Black Out Cloth Strap DW-5600BBN-1ER Watch - 5% OFF! This watch has a dark texture tie with a sap case over a negative face. 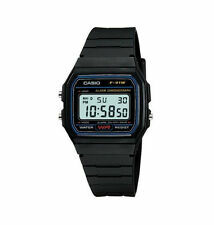 As an authorised dealer of Casio all our products are complete with watch dealer. Strap Material. Clasp Type. Strap Colour. Standard Buckle. 5 out of 5 stars - Casio Mens G-Shock Black Out Cloth Strap DW-5600BBN-1ER Watch - 5% OFF! 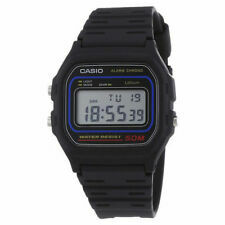 5 product ratings5 product ratings - Casio Mens G-Shock Black Out Cloth Strap DW-5600BBN-1ER Watch - 5% OFF! Chrono / Stopwatch feature accurate to 1/100, A light-emitting diode (LED) is used to illuminate the watch face in low light. - 24 hours (with automatic repeat). Stopwatch function - 1/100 sec. - 24 hours. Jurassic World Dinosaur Digital Watch, Treat Bars And Collectors Tin Multi red , orange and black Easy to read kids digital watch With Treat chocolate bars, And collectors tin Official Jurassic World design Age 4 . Style Wrist Watches. Digital 7-color LED display. Timing is complete, press key s3 zero. Under the alarm setting mode, press the switch s3 hours / minutes to adjust sequence. Display Digital. Press the key s4 to view month and date;.